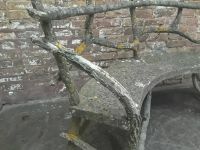 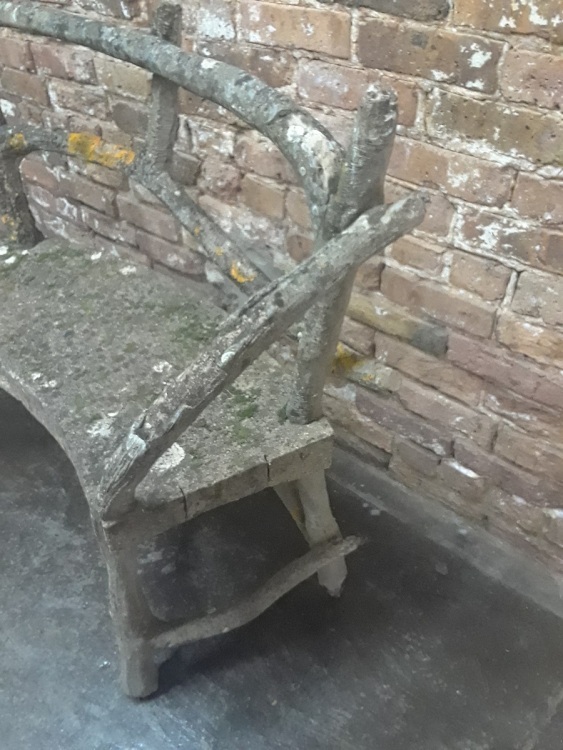 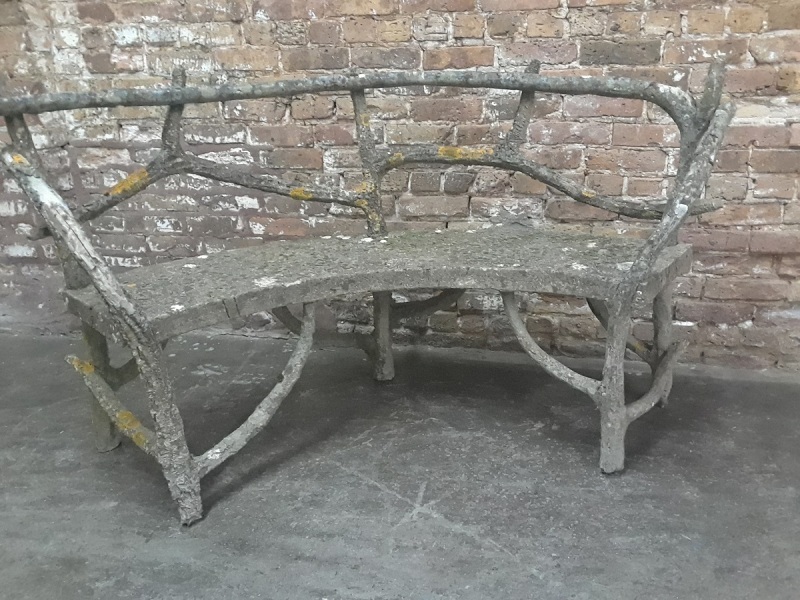 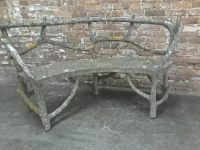 A beautifully executed early 20th century French faux bois garden seat. 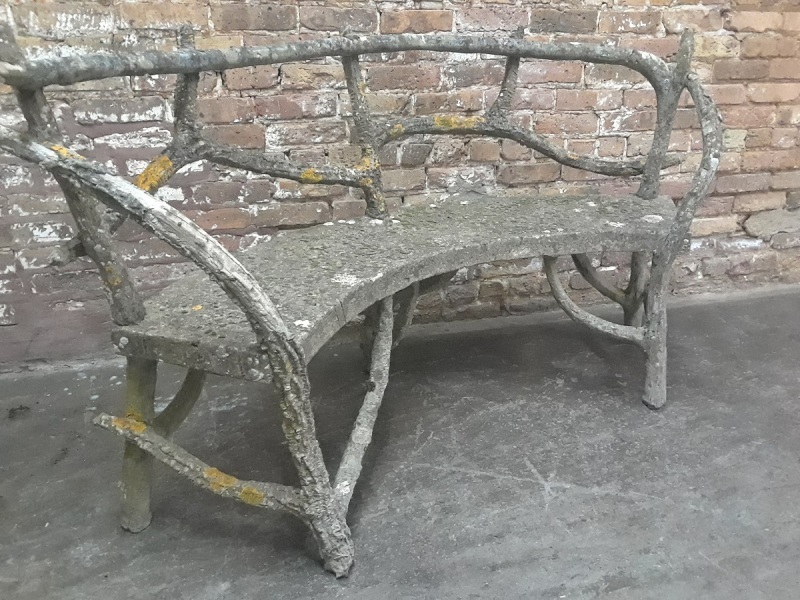 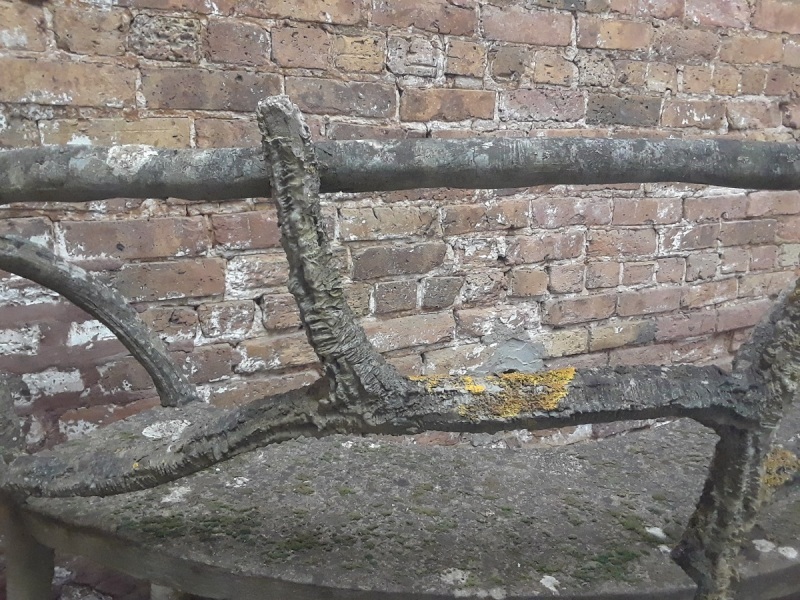 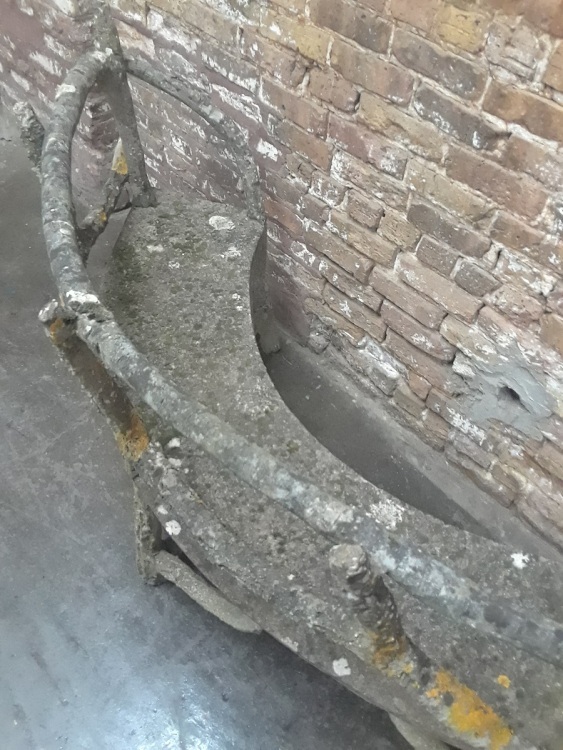 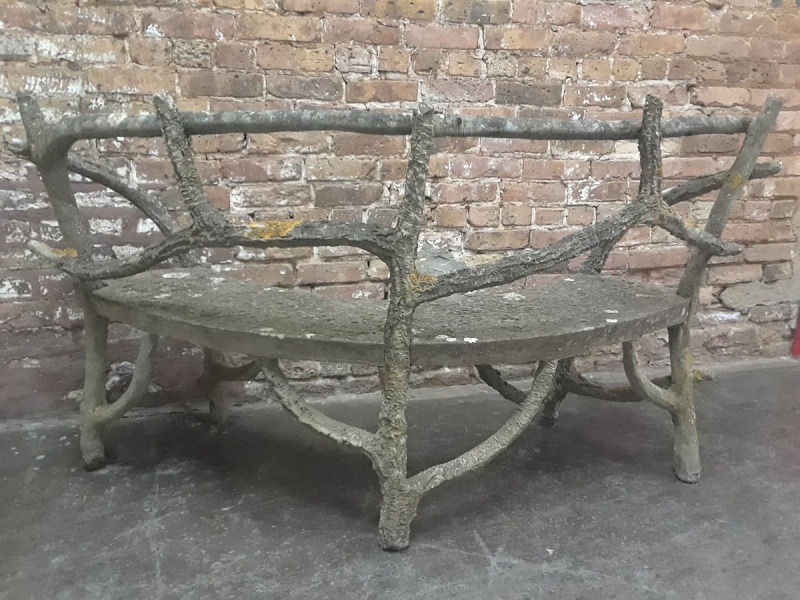 Gracefully curved, and while very sturdy, this bench exhibits exceptional detail with delicately formed branches forming the back, arms and legs. 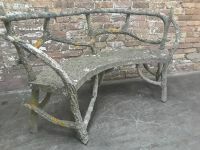 Faux bois (literally “false wood”) was an art form originating in Europe well over a century ago. 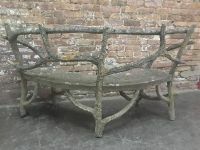 It derived from the naturalistic or rustic style that was finding increasing popularity with the public at that time. 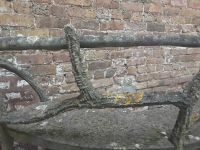 In creating pieces of this type several successive layers of wet cement aggregate are applied and built up around an iron armature. 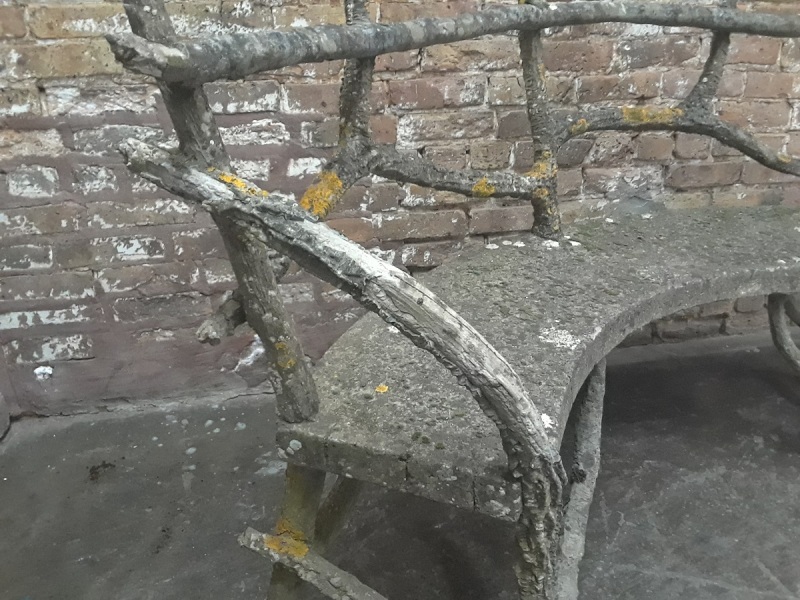 Detailing and scoring to provide the natural wood effects are the final steps in the process.